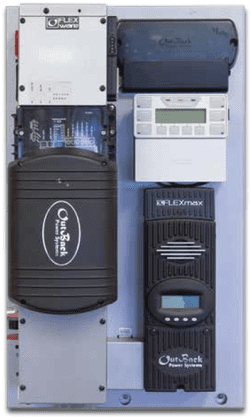 FLEXpower ONE includes a single inverter, AC and DC wiring boxes, a single FLEXmax Charge Controller, MATE3, HUB, FLEXnet DC and Surge Protector while maintaining a small system footprint. 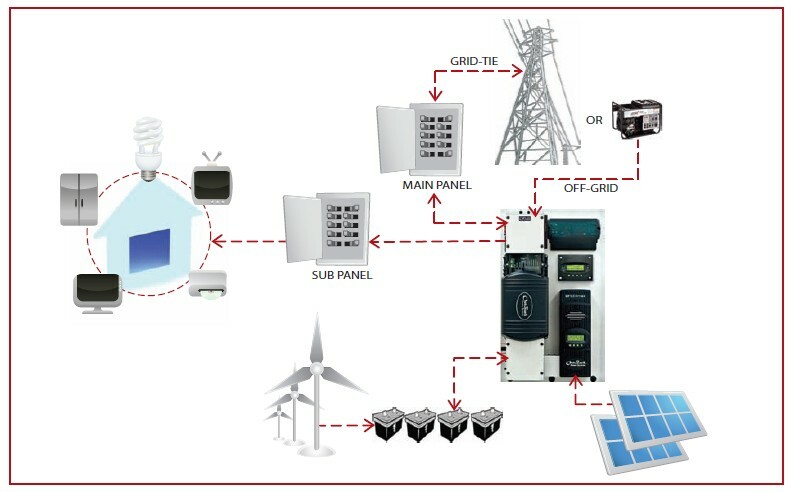 The FLEXpower ONE System is also equipped with battery and PV array breakers, a PV GFDI breaker, an Input-Output-Bypass Assembly, mounting locations for both AC GFCI Type B and EU Type F style outlets and additional AC breakers. FLEXpower ONE components carry all of the necessary ETL Certifications allowing for a code compliant installation that saves both time and money while still looking great.